There's a chance I have a too-close relationship with my iPhone. Quite frankly, it's a bit draining -- on my phone's battery life, that is. A constantly traveling freelance writer and editor with no sense of direction (if I ever give you directions, go the exact opposite way), my phone is an essential tiny computer (yes, I've written and filed assignments on it), reporting device, wayfinder, e-book, radio, restaurant guide, and on and on. Oh, yeah, I do, now and again, use it to make calls, too. (Sound familiar?) I hate how much I depend on it but … that's where things stand. So the iPhone 5's dies-too-fast battery really annoys me. What to do? Pack some extra power in my bag. But which battery is best for hauling around? The product promise: I bought this powerful little wonder brick on the recommendation of Entrepreneur contributor John Patrick Pullen. Though I was a little grumbly about its $99.95 price tag, I gave in. Though Mophie makes several different portable batteries, the Powerstation PRO promised the largest capacity of all its "juice packs" with enough power to give even my slow-charging iPad a boost. Also, it promised an "impact and splash resistant design" -- handy features for a writer who, now and again, goes hiking and kayaking during assignments. Our reality: Even after testing the other products below, this is the one I now keep with me. At just under eight ounces, it adds a bit of heft to my bag but the tradeoff is worth it. It revs up my phone at least two times on a full charge, and, when fully charged, gives my iPad enough life to keep me entertained (or working) for several hours. Not bad, right? (And, yes, it even worked after I gave it a light splashing on a lake one day.) Using the included USB cable, the battery charges quickly when plugged into my computer or car charger. It also holds its charge for quite some time. I've gone up to a month without recharging or using the battery pack and all was well. 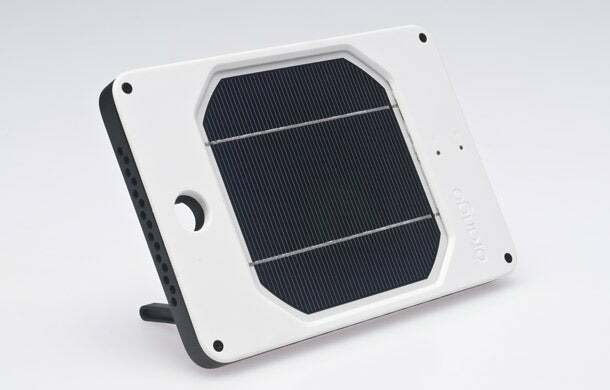 The product promise: I'd been searching around for a solar charger for quite some time but most of the ones I came across looked, well, flimsy. The JOOS Orange didn't look like a toy, it seemed like a real tool with, um, staying power. The marketing copy promised that I could leave it outside in light rain and that it would even charge up in lower-light conditions (helpful as I spend a lot of time in Alaska). Our reality: Yes, the solar panel lives up to its promise. You can charge it via the sun (and, yes, even not-so-sunny Ireland revved it up sufficiently in about a day) or, and this is handy, by USB if you want to move things along much faster. Best of all? It holds its charge for a long time; I charged it up and then left it in the dark for three weeks and it gave my phone 2.5 go arounds. But … and this is a serious but … it's not all that handy on the portability front. Weighing in just under one lb. nine ounces, more than double the weight of the other chargers I tested, the JOOS Orange is just too heavy. My entire computer weighs less than four pounds. The stylish Orange definitely has its uses: I would take it car camping in a split second since my phone is also my main point and shoot camera. But for day-to-day use in my carry-on? Not a fan. A JOOS spokesperson acknowledges that the weight could be an issue for those who might want easy portability. He explains that the bulk of the weight comes from the unit's steel heat sink which keeps it cool and working efficiently. That said, the next generation Orange "will be considerably lighter" and a new product slated for next year, unofficially called the JOOS Grape, will weigh half as much as the Orange and hold one full smartphone charge. The product promise: The $60 BoostTurbine 2000 caught my eye on PhotoJoJo, one of my favorite online retailers. 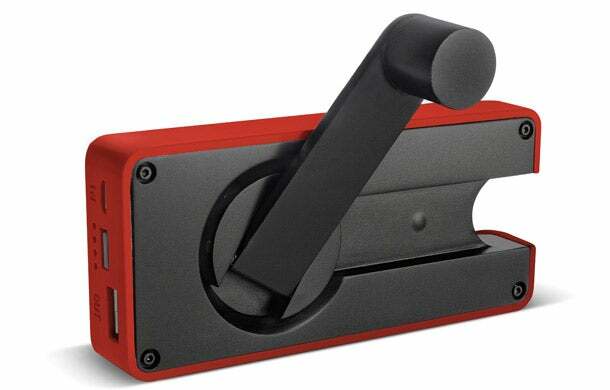 The site calls it "The Crankerator," likely because its rechargeable by either USB or an attached hand crank. The BoostTurbine promises to "keep you all charged up and connected" for everyday or emergency use. I travel regularly and figured it could double as a daily charger and a just-in-case backup. Putting it to use: Unfortunately, my experience with the BoostTurbine didn't match my hopes. When fully powered, the battery did charge my phone quickly, but it held just over one full charge. And the emergency power-it-up-by-hand-crank option? It's pretty awkward to use. It's a tight turn and, at one point, the unit flew out of my hands happily missing the day-old cup of coffee on my desk. One minute of you'll-work-for-it cranking gave my phone a short-conversation talk boost. It might be worth keeping in your car as a real emergency backup but it wouldn't be my choice for an on-the-go energy solution. I reached out to ETON for comment but there's been no response so far. Will update as soon as it rolls in. Update: A spokeswoman from ETON explained that the charger is designed for one full iPhone charge. She added that the force needed to crank the charger varies due to the charge state of the phone and batteries in the lower end of their discharge range will need more force to turn the crank. 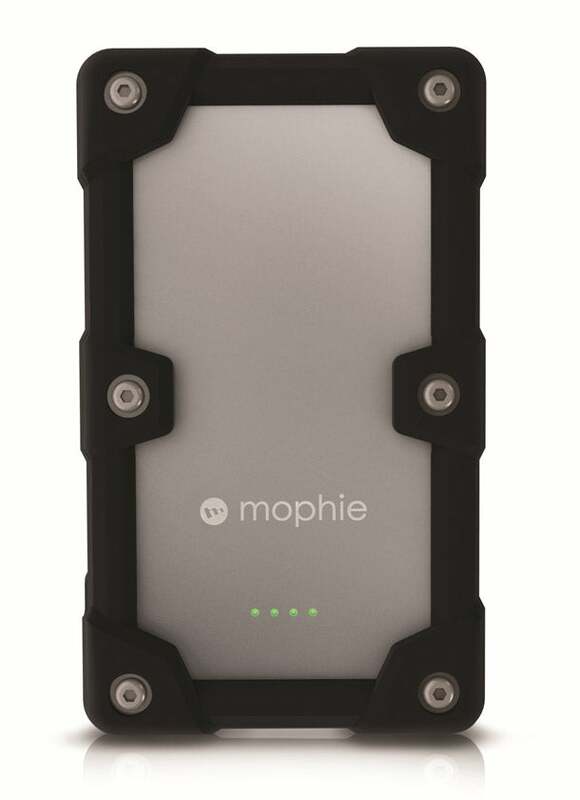 Amplifications and Clarifications: A previous version of this story used the incorrect image for the Mophie Juice Pack Powerstation PRO.